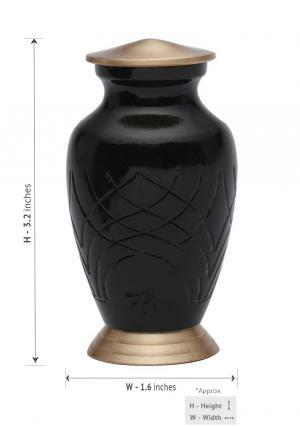 Skipton black mini keepsake cremation urn is made of high quality brass and curved by skilled artisans who are specialized in making urns to preserve the memories of the cremated in terms of storing funeral ashes in the urn and paying a final tribute of the member. Storing of ashes would be a great tribute and can be part of reminding the need of cremated at the time of sorrow or when needed. 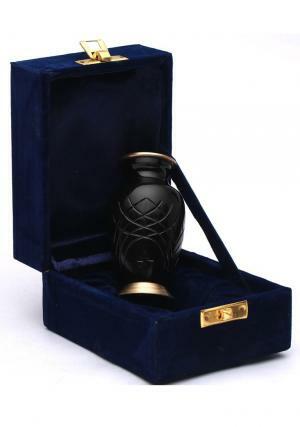 The mini keepsake cremation ashes urn is presented in the form of a black polished coating on the top and with gold on the lid of the urn. The urn is curved well with designs on the urn as an ancient script of art. 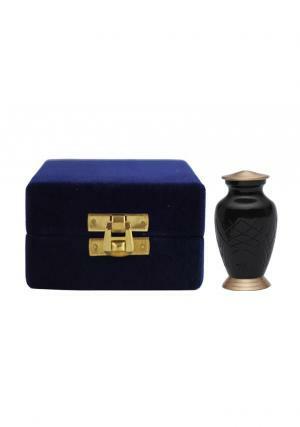 The urn comes up with a threaded lid on the top for an easy closure and to make the customer feel secured of the preserved ashes in the mini urn. The small urn can be given as a present to the family to preserve the ashes of the loved one with them or can be shared among the friends. 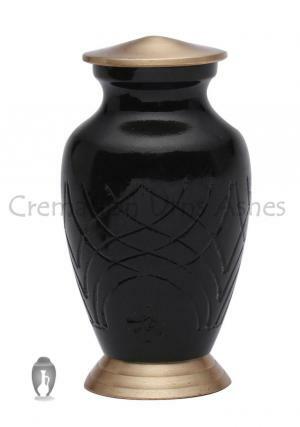 The skipton black mini keepsake cremation urn has a capacity of approximately three tablespoons of ashes into the urn and measures height of 3.2 inches. 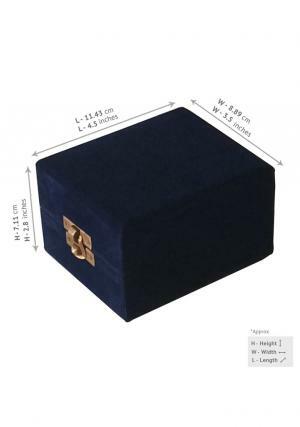 The memorial urn is delivered with a free velvet casket to rest the urn as a decorative piece. 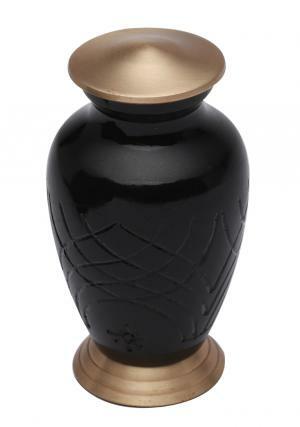 The urn is shipped for free within UK.